UT Idea Lab | IdeaLab’s Mentor Feedback Carousel Helps Ideas Colser to the Goals! Mentor Feedback Carousel brought together 11 dedicated teams and 10 experienced mentors to help teams move forward with their ideas. 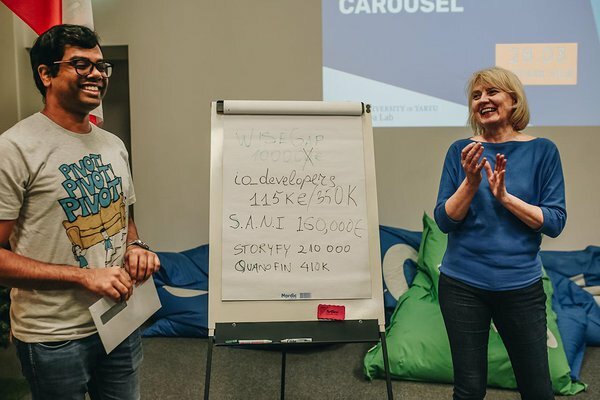 Teams' got feedback to their ideas from different experts and by the end of the event, mentors gave play money checks to the teams they liked the best. 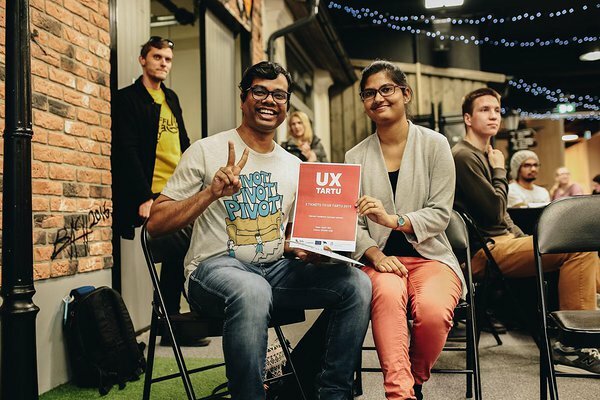 Prize for this event was 2 tickets to UX Tartu event ere given to team Quantofin. Quantofin is helping traders avoid losing money due to lack of knowledge and improper risk management techniques. They are building a platform for traders to help them learn and practice in a simulated market environment as well as help them protect their investments with an AI-powered risk management engine. Team Quantofin was also the winner of the Play Money game. All mentors got the play money checks – 100 000 €; 50 000 €; 10 000 €. By the end of the day, they all gave their favorite teams „investments“. Quantofin got 410 000 € play money investment. Io_developers got second place in Play Money game by gathering 350 000 €. They are developing eyeglass, controlled via a mobile app, which allows to continuously adjust the focus on the objects in multiple focus levels changing in a range of -6 to +3. 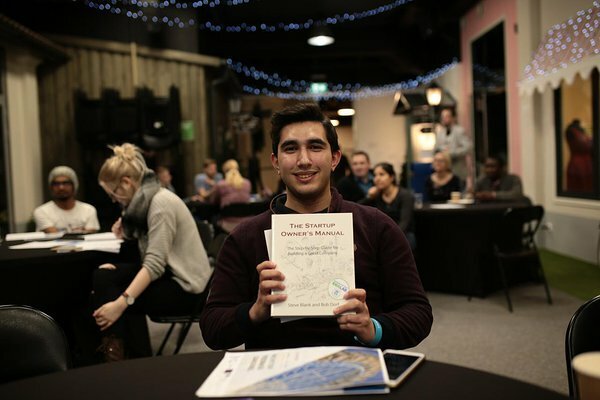 They won every startup dream book „The Startup Owner’s Manual“, written by Steve Blank and Bob Dorf. Team members expressed their gratitude and came to a common understanding that this kind of workshops are absolutely necessary because it enables to see new perspectives and discussions with mentors mean so much for starting a business. All participants told they got ideas on how to move one. Mentors were impressed by the teams' commitment and said that many of them have big potential. Mentor Chris Thompson emphasized "I really enjoyed participating in the event, and was impressed by the variety and ambition of the ideas. 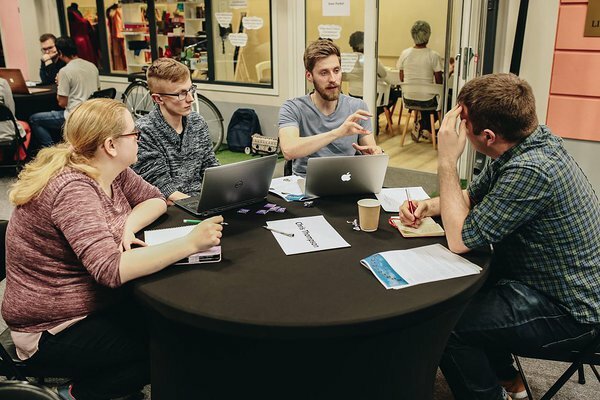 Overall, the event was an excellent way for those who have business ideas to get direct feedback from mentors with experience in various different aspects of the business. I look forward to hearing about the teams' progress as they develop their ideas further and go on to achieve great things." 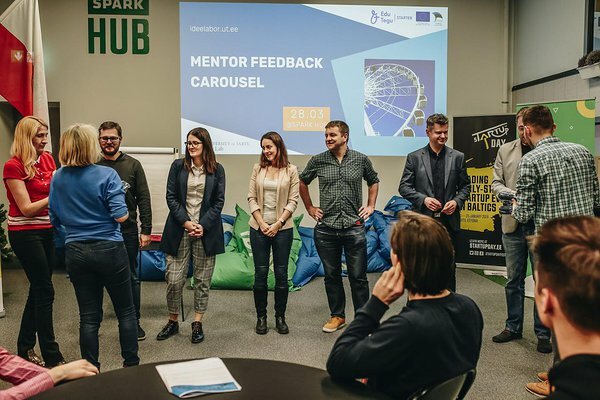 Idealab would like to thank all the mentors: Vaido Mikheim (Tartu Science Park), Taavi Tamm (STARTER@Pärnu), Sven Parkel (Tartu Biotechnology Park), Sven Anderson (Brandlyse), Riina Niine (Fleet Complete), Evgenia Trofimova (Introwise), Tanel Tähepõld (Fleet Complete), Chris Thompson (Neuroactive AI), Triin Kask (Nevercode), Mirell Prosa (law firm Sorainen)! Also, would like to thank all the teams for participating: Quantofin, Romantic Boxes, Produktiivsusklubi, Storyfy, io_developers, Itravel, Poko, Project health flow, Noor Täht, S.A.N.I., Wise Gap! Next up: Financial and Legal Aspects of a Startup workshop on 4th of April at SPARK HUB. It will be led by Mark Kantšukov and Kristina Viznovitš. More information on IdeaLab website.